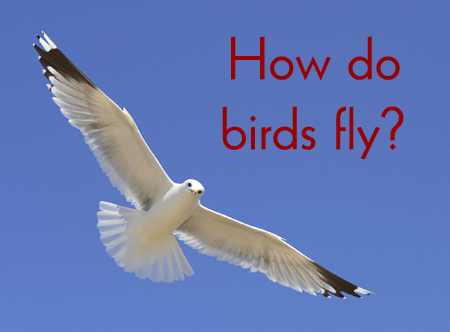 Home » Facts » Animal Facts » Birds Facts » How do birds fly? How do birds fly? In simple, Birds fly because they have got wings. Yes, but if their muscles were not strong enough and their bones were not light, their wings alone could not have helped them to fly. A bird body is meant for flying. There bones are light with spaces ful of air and their muscles are very strong which move their wings. And a bird’s breast bone is like a ship’s prow. Just like a ship’s prow, it cuts through the air. When the birds take off, they beat their wings very fast. Once in the air, they beat their wings slowly and sometimes they don’t! And before landing, they again beat their wings quickly. When they flap their wings, its called “beating flight“. And when they are quite still with their wings stretched out and are being carried by current of air, its called “gliding flight“.